Friday is here! DeForest Parks and Recreation encourages the community to come out and enjoy a night of live family friendly entertainment at the newly renovated Fireman's Park. Food vendors and beverages will be available to purchase. 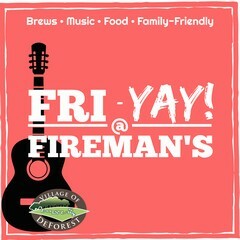 Bring your blankets, lawn chairs and relax as we kick off the weekend!